Featuring our visits to modern architecture in and around the Sooner State. Later this month one of my favorite Oklahoma homes will be open for a look-see. 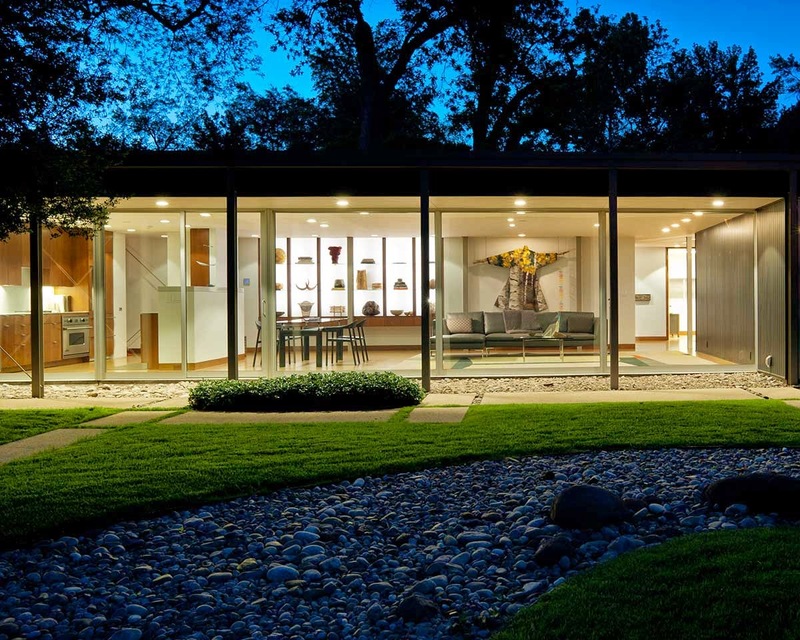 The stunning Jones House was the home of Robert Lawton Jones- a founding principal of the Tulsa-based architectural firm Murray-Jones-Murray. Here in Oklahoma MJM is synonymous with MCM. The firm designed Mid Mod icons such as Saints Peter and Paul Church & School, First Place Tower, Bishop Kelley school and the Tulsa Assembly Center. 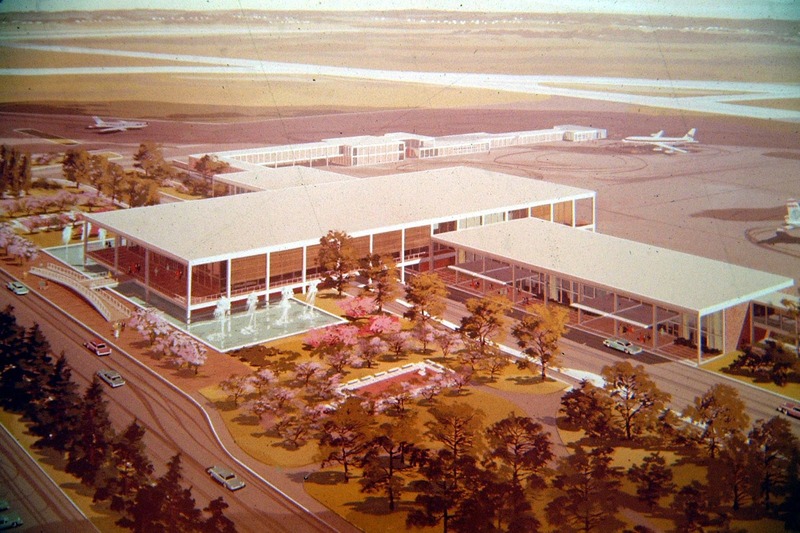 About the time Jones penned this sleek example of International Style we had just broken ground on another MJM project: the Tulsa International Airport. It was 1959. The Jet Age had begun. For his family home Jones selected a plot of land in what was then deep south Tulsa. He pushed the house back off the street. The garage was out front- but you'd never know it. A wall of glass made the back of the house a window on the world. The form was a box- to some, just a box. But the elegant balance and exposed support cables hinted at the inspiration for its design. Jones studied architecture at Notre Dame and then in Germany when he was awarded a Fulbright Grant. As a graduate student at the Illinois Institute of Technology he studied under Mies Van Der Rohe. It's easy to see the connection if you compare their portfolios. Back in 2008 we found a tree resting against this Miesian outpost. Fortunately the damage was superficial and the house found its way to appreciative owners. One loving restoration later and it's looking better than ever. On April 30th you'll have an opportunity to see for yourself as the Tulsa Foundation for Architecture holds their annual member appreciation soiree. It's free to members. Been there, bought the shirt. Thanks for visiting. We enjoy documenting unique and unusual architecture in and around Oklahoma. Preserving our recent past is the only way to be sure we have any of the good stuff left for later. Oklahoma Modern by J. Rex Brown is licensed under a Creative Commons Attribution-No Derivative Works 3.0 United States License.